If you read my Sevilla Travel Guide, you know I had promised you all a Bache San Pedro detailed review, and as promised here we are. So long story short, it was Valentine's day, me and João were both starving and we had no reservations. We looked it up Restaurants that weren't too expensive, but that ware still really good in the area of our Hotel and Bache San Pedro popped up on google, it had a great rating and a bunch of amazing reviews. We booked a table on the app The Fork (which is what we always use while traveling) and we decided to walk to the restaurant (30min walk). Bache is not located right in the city center but it is totally worth the detour in my opinion. 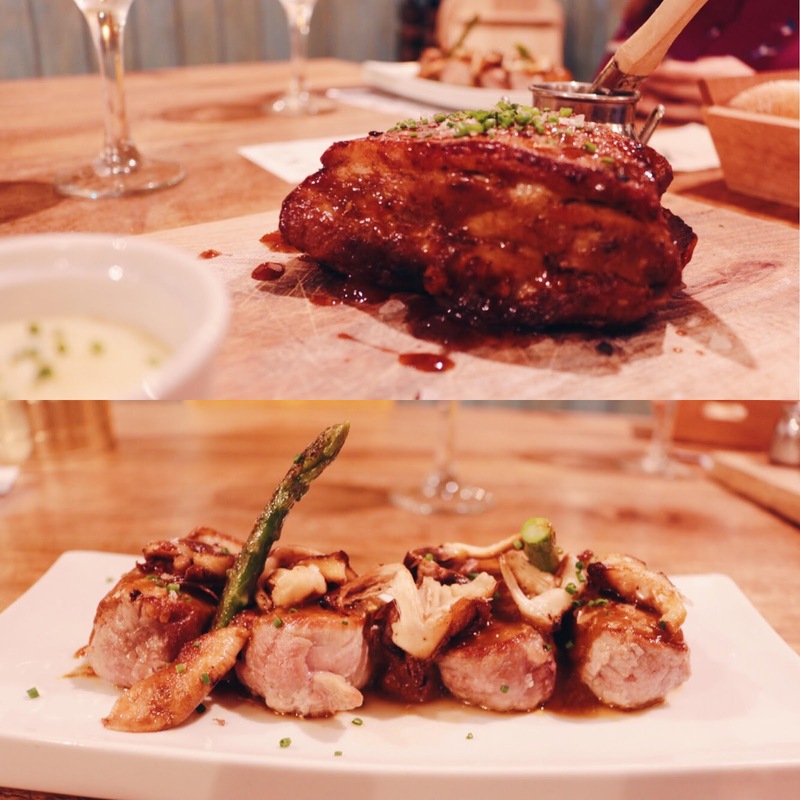 Once we got in we found a really full restaurant that looked trendy enough to be an Instagram heaven, with a cute and relaxed vibe a mix of woods, blues and white tones in the decoration. Once we got there we gave our names to one of the waiters and we were informed that the app had not notified the restaurant of our reservation, which meant that we had no table. I must say that this was not their fault, and it was also not ours, the app simply didn't notify the restaurant that our reservation had been made. Of course we got a bit mad, after all, it was late at night, we did everything right, we had no table and we were starving. The owner and chef of the restaurant was soon near us apologizing for the problem and offering us something to drink and a few codfish cakes while we waited for our table. 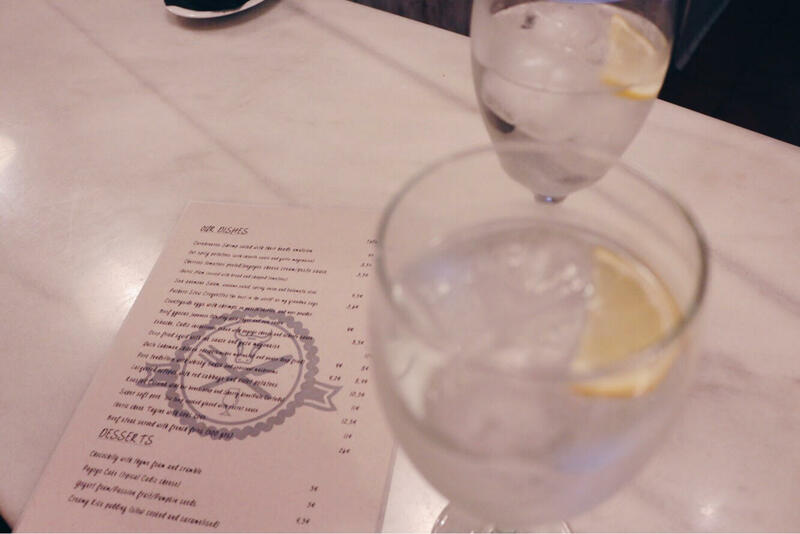 We both order a glass of Gin and Tonic and enjoyed our little codfish cakes (that were amazing) before we got seated. Once we were given a table we had the opportunity to look at the menu. 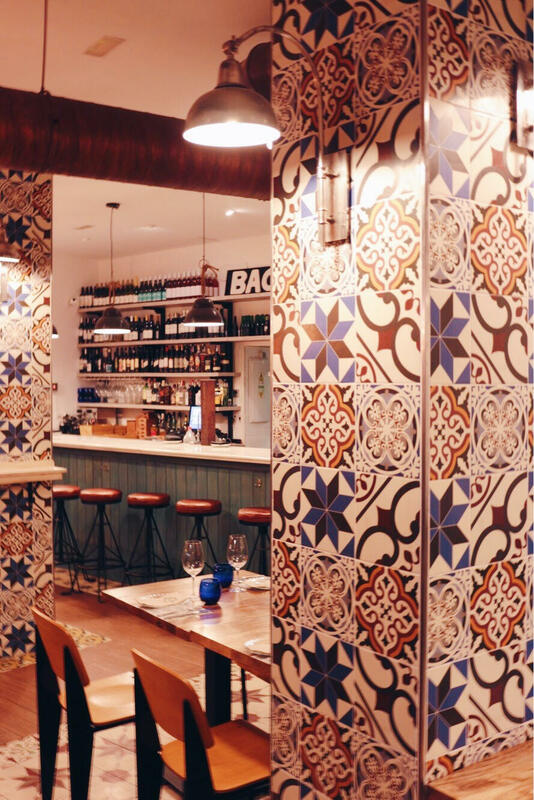 Bache is a Tapas Bar which makes the food great to share. We order two starters, two mains, and two desserts and split everything between us. 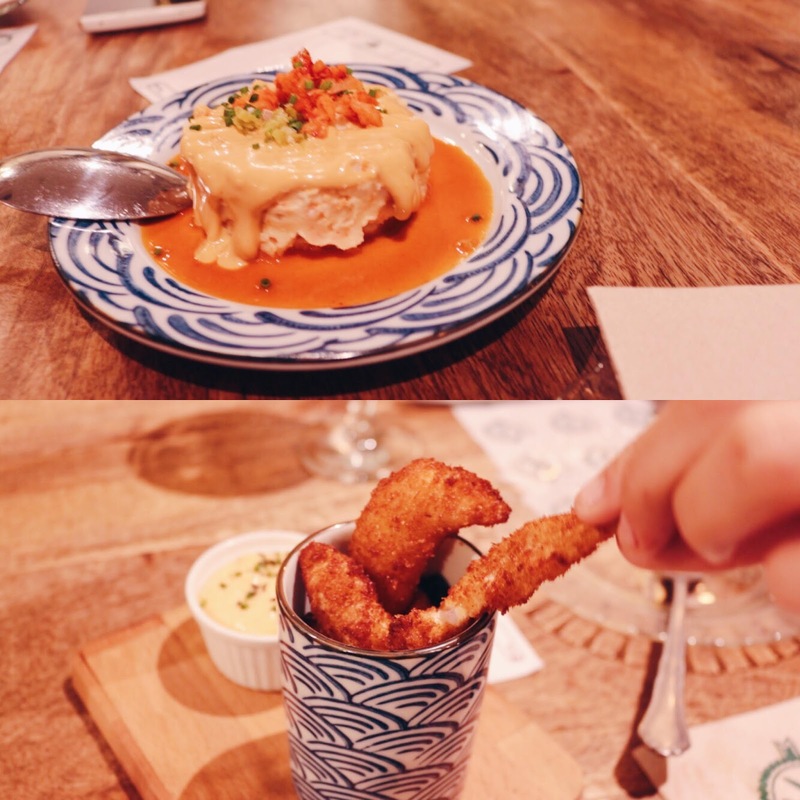 For starters, we went for a Shrimp Salad that was covered with an amazing shrimp emulsion dressing and some Fried Chicken and Aoli Mayonaise. The shrimp salad was incredibly fresh and delicious, it tasted like shrimp and it had a really light texture on the mouth. If you like the flavor of shrimp I would really recommend this appetizer. My favorite part of the meal was by far the main courses. If you are anything like me and you love some really well-cocked meat with delicious sauces this is exactly what you should pick! We went for a Slow Cooked Pork with Secret Sauce and Mashed Potatoes and a Pork Tender Loin with Mushrooms and Whiskey Sauce. The Slow Cooked Pork was absolutely extraordinary! The meat was so well done that knife cut it as if it was cutting a piece of butter. It was sauce and succulent and absolutely outstanding. The sauce was also amazing and it reminded me of a barbeque sauce with a twist. I only tried a bit of the mashed potatoes, because I honestly don't like mashed potatoes, but it also tasted great, it had a quite big layer of cheese on top of the potatoes and it was garnished with some spring onion. This was for sure my favorite dish. The Pork Tender Lons with Mushrooms and Whiskey Sauce was also another great pick. The meat wasn't has juicy as the rest but that was because of the cut of meat we were eating. The mushrooms were fresh and delicious. I am the biggest fan of mushrooms you will ever meet and I can tell you that this is for sure one of my favorite mushrooms recipes I have ever tried. The sauce was, in my opinion, the start of the whole dish. It connected the flavors of the mushrooms, the pork, and the asparagus amazingly well and it wasn't too salty or too sweet, it was the perfect element that made all the ingredients in the plate speak to one another. They do most of their mains as tapas too so if you want to try a little bit of everything in smaller quantities you can go with that option, but we decided to order a main sized dish to each one of us, being that the size you see on the images. Last, but not least. we order the desserts, I went for a Raspberry Mouse with Greek Yogurt and a Crumble and my boyfriend picked the Rice Pudding. I must confess that the Rasberry Mouse wasn't my favorite, because it wasn't very sweet. However, if you don't really like sweet desserts I must recommend it. It was very light as fresh and after a great and quite big meal that is only what you can expect from a great dessert. As far as the Rice Pudding goes I only tasted a bit because I am not a fan of rice pudding but this one has a really interesting twist. It was burned on top, like a créme brulê. It was really amazing, it gave texture to the dish and it made it more complex and interesting to eat. 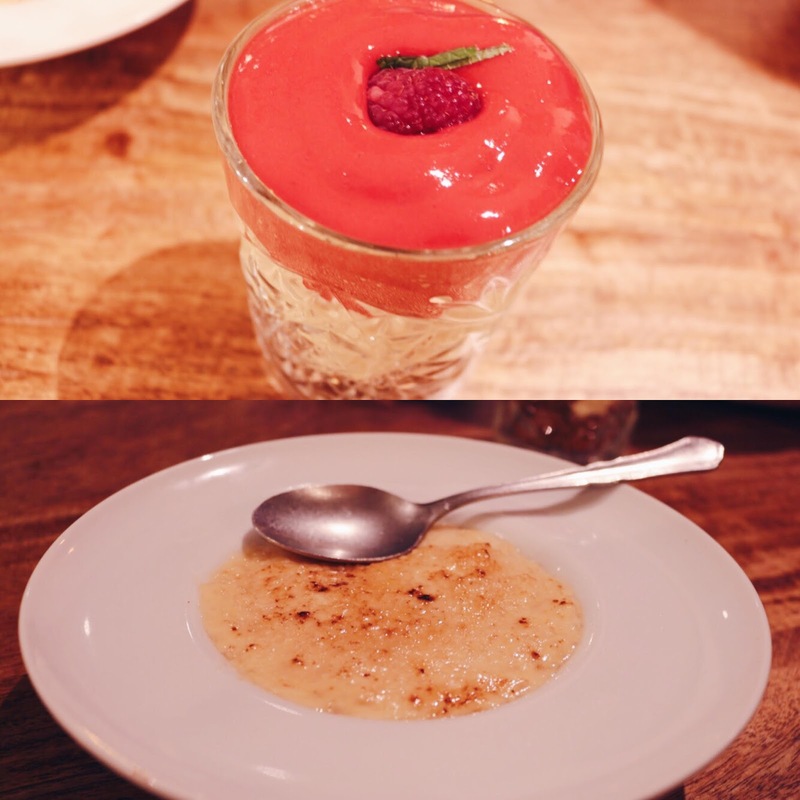 The rice pudding was a lot sweeter and heavier when compared to the raspberry mousse. 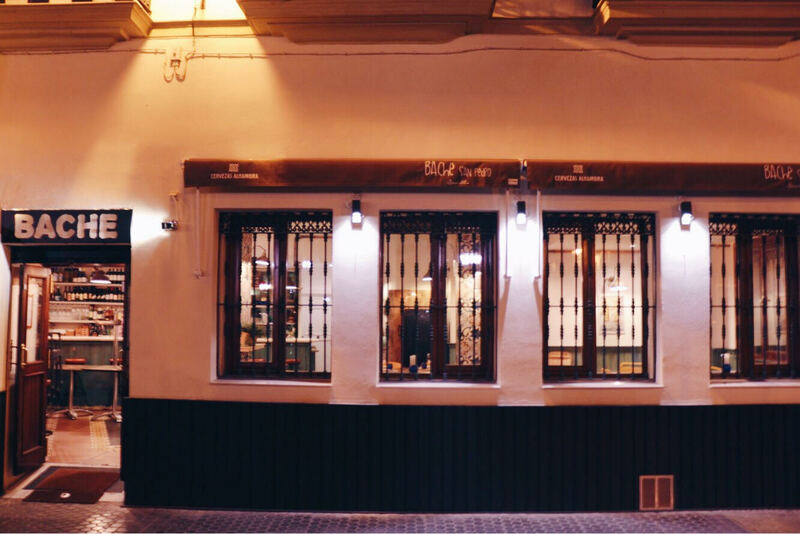 And this is it guys, Bache is for sure a must visit restaurant in Seville and I would really recommend it if you are looking for a place where you can have some great Spanish food, some tapas, great meat and have a great gin and tonic. 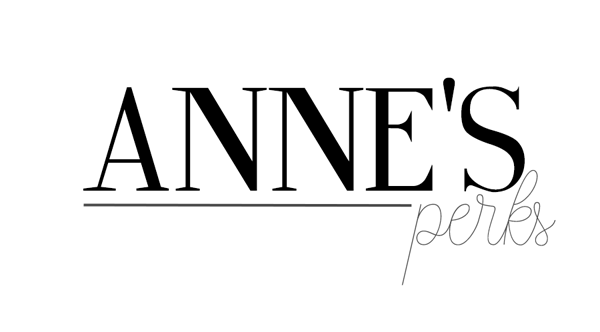 It's also a place where the food is cooked with love and you can feel that love on every bite you take of your meal.